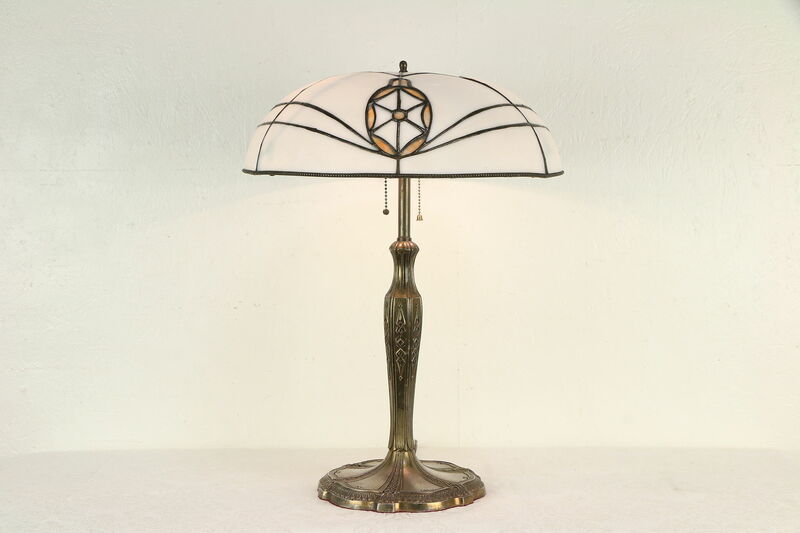 An Art Deco period table lamp from about 1920 has an embossed heavy base and a hand leaded stained glass shade with curved and etched panels. Two standard base sockets have pull chain switches and have been rewired. Bulbs are not included on this American made antique light. Size is 16" across and 22" tall.